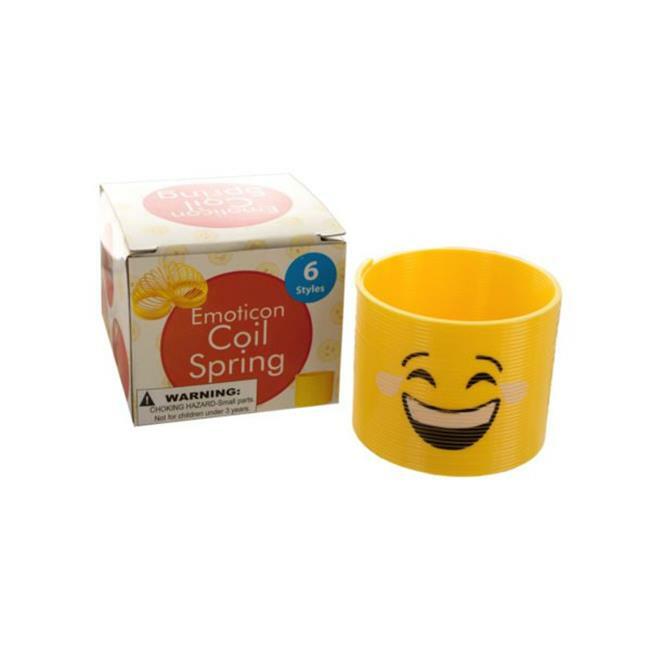 Provide hours of fun for children and adults with this Emoticon Coil Spring featuring a classic spring toy made of yellow plastic with the design of commonly used keyboard expressions. Learn tricks and amaze friends. Makes a great party favor and stocking stuffer. Measures approximately 2.5'' long x 3'' in diameter when stacked. Coil 6 assorted styles. Comes in an individual box.